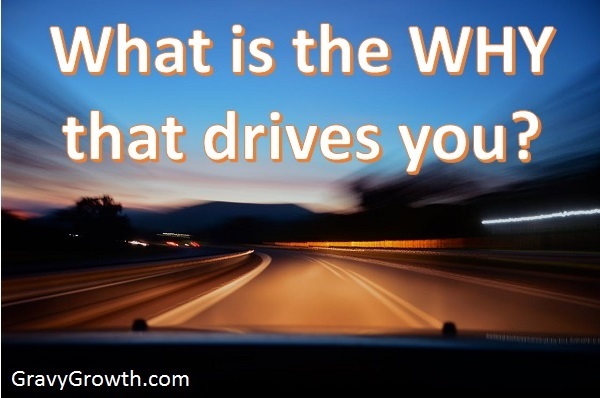 You are here: Home / Business Essentials / WHAT CAUSES BUSINESS FAILURE? This CAN be prevented! WHAT CAUSES BUSINESS FAILURE? This CAN be prevented! A business startup isn’t like a box of chocolates. Always expose what you’re gonna get. 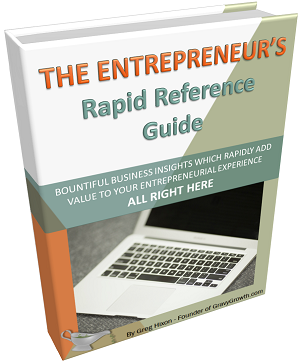 Uncover all of it, because inadequate research is usually what causes business failure. Therefore, before you launch a business, don’t just peek inside the box. CRACK IT OPEN AND TASTE EVERY SINGLE PIECE! BUT WAIT. There’s an even better answer to the question of what causes business failure. And, I’ll tell you what that is, soon enough. For now, I need you to focus on your due-diligence first. This is because you do your research before you launch a business. Therefore, always open the top and taste each and every chocolate before you buy the box, figuratively speaking. 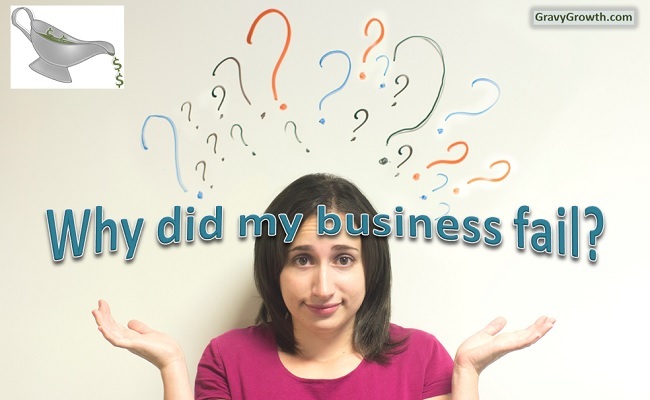 What causes business failure? Ignorance! Quick joke: What do ignorance and apathy have in common? Answer: I don’t know what they have in common. And frankly, I just – don’t – care! What is the business-startup failure rate? Please allow me to state a fact: MOST BUSINESSES FAIL! To provide you with a better perspective – about 80% of business startups fail within the first 18 months. THAT’S TRAGIC. It’s a statistic that reveals quite a deficiency in preparedness. The good news is, that tragic deficiency can be fixed by informing people. So hey, please share my blog post so that those with entrepreneurial tendencies can find it and check it out. Too many business owners presume that opening their doors for business is enough. They hope customers will find them on their own. But, the common notion “If you build it, they will come” is misconceived, at best. Very few products jump off the shelves on their own. If you build it, I guess THEY are ALREADY in line waiting to buy, right? Later, I’ll reveal the BIGGEST reason for business failure. Of course at this point though, I’m sure you’ll be scrolling down to read that first. Entrepreneurs aren’t known for their patience – so, go for it! I’ll mark the next heading in red to help you find your way back. Then, let’s dive right in. The more work you put into your research and planning, the better you’ll understand the correct path to success. Lack of preliminary due-diligence and planning certainly is a BIG reason for what causes business failure. Find the people who really want what you have to offer. Marketing to a broad audience will bring you fewer customers. Your message must be tuned to resonate with specific people. By doing this, you WILL NOT capture very many of those who’re outside your target market. But, many more of those inside your bulls-eye will come running to buy from you enthusiastically. Don’t worry about those who’re turned off by your message. It’s better to have a narrow, excited customer-base than to have a sprinkling of customers from a broader market. They may sometimes buy from you, but they won’t be enthusiastic about what you’re selling. Good market research will ensure that you provide a winning product for your target market. Take the data you glean from your research very seriously. Also, use your data to evolve your product into something even better. Remember, lousy products are great examples of what causes business failure. For an in-depth look at strategic marketing, please check out my extensive blog post Effective Marketing Strategies. Business planning is both formal and informal. Your business plan can be formatted professionally, written on napkins, or something in between. So, what’s the difference between your formal and your informal business plans? Formal business planning is used to attract potential partners and investors, and to secure a business loan. Therefore, writing your formal business plan is always a great idea. So, what should your formal business plan include? Formal business plan? Must be time to attain some money! There’s an important use for your formal business plan – attainment. Be sure to write it in the active voice vs. the passive voice. This’ll exhibit your authority. Make sure you keep it concise. Always remember, your formal business plan is your golden ticket to growth when you’re ready. Now let’s discuss your actual business plan – the one you’ll use for your daily progress. This plan is for you. It contains your strategies and goals. It also contains your thoughts and ideas. Evolution is inevitable, so keep it up-to-date to avoid those pitfalls that cause business failure. Your business plan is a fiction. Some fiction mimics reality and may even come true. But, nobody knows the future. Therefore, experiment and learn from each mistake as you go. There’s a new entrepreneurial methodology called Lean Startup. It favors experimentation over elaborate planning. It prioritizes customer feedback over entrepreneurial intuition. And, the design process is iterative instead of being a “big initial design” approach. The Lean-Startup philosophy is based on what works vs. what doesn’t work. Therefore, it’s a wonderful method for avoiding what causes business failure. Just don’t neglect your preliminary planning. What causes business failure more than anything else? No matter how hard you work on developing the best possible business plan, poor execution is absolutely what causes business failure. Even poorly-written plans can be used as a guideline. But, if you don’t work at it with everything you’ve got, if you don’t pay attention to every detail and every data point, business failure WILL occur. Plus, you need to hustle, and you need to do it well. Risks, hazards and pitfalls exist throughout the business-startup process. So, please read my blog post about knowing the cons of business before considering the pros. 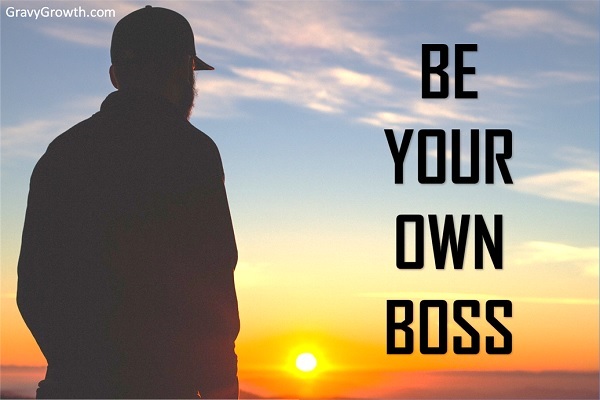 It’ll help you determine if business ownership is right for you in the first place. If you decide that the cons outweigh the pros, there are some great employers out there to work for instead. Practicing careful strategic business planning before and during your business-plan execution is paramount. You’ll do this over a great many months before you can get to the prize at the bottom of the box. Your prize may be financial freedom or a market-share milestone. It’s success, as you define it. Patient due-diligence is the name of the game with business-plan execution. You’ll dive deep into the nitty-gritty each step of the way. So maintain a marathon mindset and you’ll get through the difficulties one-by-one. Expect the unexpected, which is cliche, yet valid regarding business-plan execution. It means to look at every angle and think of all possible surprises. Know what to expect ahead of time so business-startup failure doesn’t occur. Taking shortcuts and shooting for quick success is the most common approach to business-plan execution. Business failure is the most common outcome. So, please learn from this and plan to suffer through the difficulties without giving up – maintain good entrepreneurial stamina. Your business can succeed. But, you must do what it takes. If you truly care about doing what it takes to avoid what causes business failure, for as long as it takes, and you have the tenacity to stay on track, you can beat the odds. Don’t worry about the business-startup failure rate. It doesn’t have to apply to you. Stay dedicated, educated, focused and patient. Know what steps to take and how to take them. Put them into your business plan ahead of time. Use every resource available. Then, perform research often in order to stay informed. Be sure to keep your focus on performing your best business-plan execution at all times. And, always avoid distraction. Sometimes you’ll find a better solution. You may discover a better plan. Use a formal process to test your new idea. Business plan changes should be the exception. Plan changes must be resisted. Avoid plan-execution spin-out. This is my fancy term for losing your sight, losing your focus, and being distracted by your new ideas. Write them down so you don’t lose them. But, keep your eye on the ball! You’ve done your due-diligence already. Therefore, trust it and stay focused. See business-plan execution, according to Marcus Lemonis in this Yahoo Finance newscast. First, understand that failure is okay. Failure is part of the growth process. You learn from it. It molds and shapes your pursuits. Failure makes you stronger and it leads to success. Your failure must be acknowledged early-on. If your actions fail, stop what you’re doing right away. Don’t waste any more of your time on it. Learn how to evaluate your failure. Research the failure in order to root-cause the problem. Be sure to ask what was missing. Quickly learn what you did wrong. And then, be honest with yourself – you need to learn from your failure in order to grow. Evolve your plan of action. Lay out a different course based on your new understanding. When launching a business startup, always realize that failure is normal in the beginning. Therefore, update your business model until you get it right. Starting a business isn’t easy. Everything must be researched and tested ahead of time if you want to be part of the 20% of business startups that succeed after 18 months. Then, after all of your ducks are in a row, you need to maintain entrepreneurial stamina in order to get through your business-plan execution, which is the number one reason for what causes business failure. And, knowing how to deal with failure as you go will help you keep moving forward. I’ve included clickable links on certain words and phrases in my blog post to help you find other useful content that I’ve written or content from trusted sources. Please check those out too and have a great rest-of-the day! 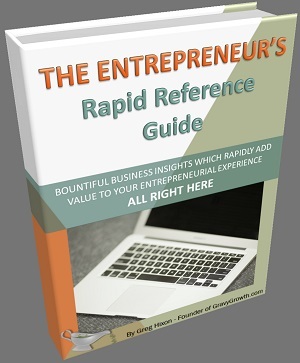 COMPLETELY FREE – It’s my gift to you!